We understand it's strange to talk about how strong and how long fence material last. If, it's built by the best fence installation company. But the fact that every fence will eventually need repairs no matter how well it’s built. Conditions might be perfect when the fence is first built. But situations can change over the years that cause gradual or damage to the materials. For example, if a fence is built that blocks the flow of rainwater. It’s possible for dirt to accumulate on one side eventually rotting the wood down there. Tree limbs and branches can fall and cause damage to fences. Storms can throw a fence to the ground or cause boards to be broken off. And lastly, snow and ice can take their toll as well. If you stop considering the never-ending wear and tear a fence endures day in and day out. Through good weather and harsh weather, it’s actually a real testament to science material. And fence construction methods that they last as long as they do. 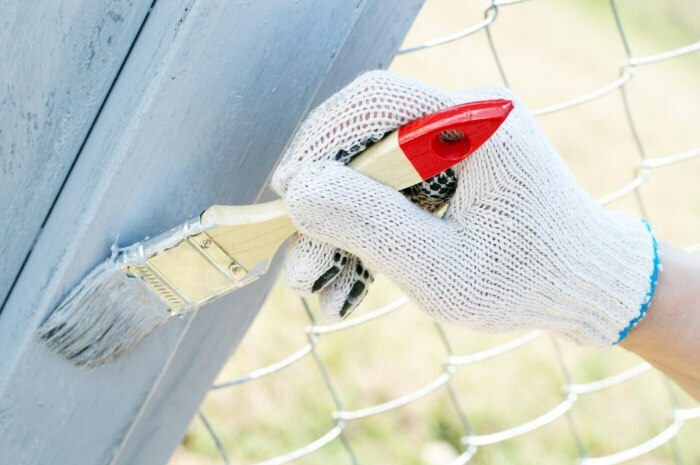 As mentioned, there are many different causes of fence damage, and there are many possible types of fence repair. If a heavy storm has come through, knocked down fencing we can come by, and re-erect it. And ensure everything is strong and looks good as new again. We can fill those annoying knot holes that naturally form in trees. Even those showing on the boards on your fence, that naturally fall out leaving gaps in your security and privacy. Rot is another common cause for repair. Ultimately the type of repair you need for your fence depends entirely on your situation. Well, the best thing for you to do is to give us a call and tell us about it. If you decide to have us come fix it, we’ll get it fixed, and looking great in no time. Fence material has a huge part to play on how it will last over the year. Classic wood fence, when built with quality will be structurally sound and last for many years. But remember that wood is naturally prone to rot. That’s why the wood is thoroughly treated, stained, or sealed. Another type of fence is vinyl or chain link that won’t rot no matter what happens. But your typical vinyl fence might not give you the classic look or structural strength you’re looking for with a wood fence. However, the chain link fence made of coated metal can eventually rust. No material is perfect, but when you combine the right material with your design goals and needs, you can still get the perfect fence for you. It’s not always necessary for us to perform inspections before scheduling a fence repair project. We make sure to turn up with pretty much anything and everything we could possibly need to repair the problem you described over the phone, so it’s not necessary to run back and forth from our shop to your location and waste time. We prefer to speak over the phone so you can explain what’s going on and then we’ll schedule a time to come get it done. Before we leave we make sure the fence looks great, is structurally sound, and the work area is clean. We know the world is a busier place than ever and there’s always a few things pulling you in different directions. Whether you’re a homeowner or a business owner who needs residential fencing services or commercial fencing services, you surely have not shortage of things that need to get done. We totally get that, and we understand you time is valuable so we try not to waste any of it. That said, your fence damage situation can get a lot more expensive and time consuming to fix the longer you put it off. Rather than wait a few months as rot or rust sets in or damages compound and end up with a much bigger bill, just give us a call about it today. It won’t take any time to describe what’s going on, and we’ll get it corrected in no time. We’re always happy to fix fences!